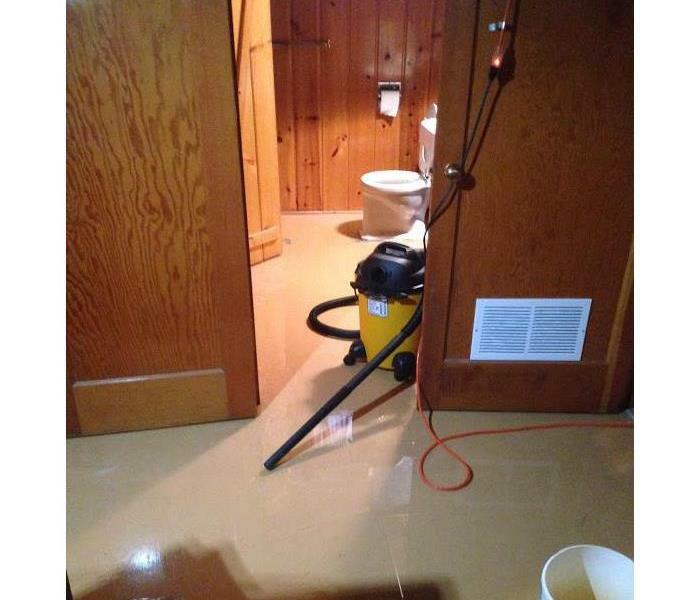 Water Damage in Spokane. The homeowners have been out of state since December. The furnace broke. All it took was one freeze and the pipes broke. It sprayed water for approx. three days before being discovered. Three story house. Almost every room is affected. As water damage specialists, we at SERVPRO of Spokane Valley, have the experience, expertise, and advanced training that enables us to get your property dried quickly and thoroughly. We use scientific drying principles and provide validation and documentation that your property is dry and the job is complete. Water Damage in the basement of a Spokane Valley home. Water poured down the wall "like a waterfall" according to the home owner. 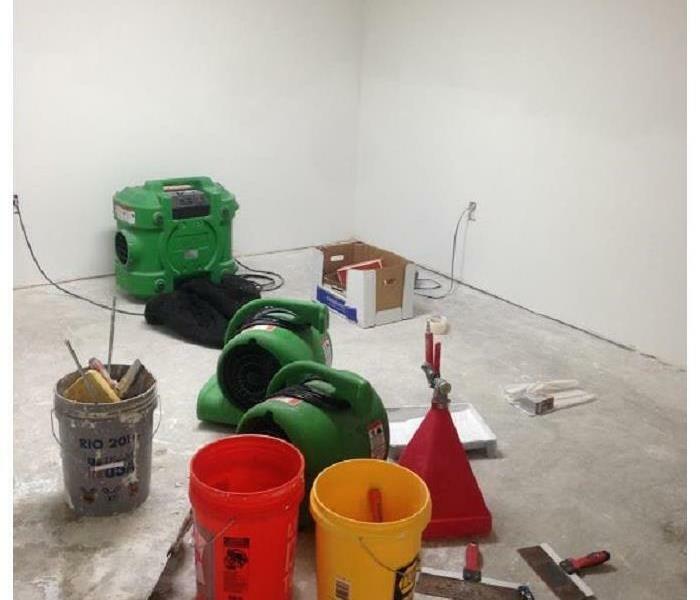 SERVPRO of Spokane Valley will provide industrial-grade dehumidifiers to help prevent secondary water damage like swelling and warping of floors, walls and furniture. Water damage in the crawlspace of a new construction home in Otis Orchards. SERVPRO of Spokane Valley will have the experience, expertise, and equipment to restore your property properly. Our water removal and cleanup process also provides validation and documentation that your property is dry. Mold Damage can be found anywhere. Where ever there is moisture, mold will be right around the corner. This mold was found as SERVPRO of The Spokane Valley was called out for a water loss. 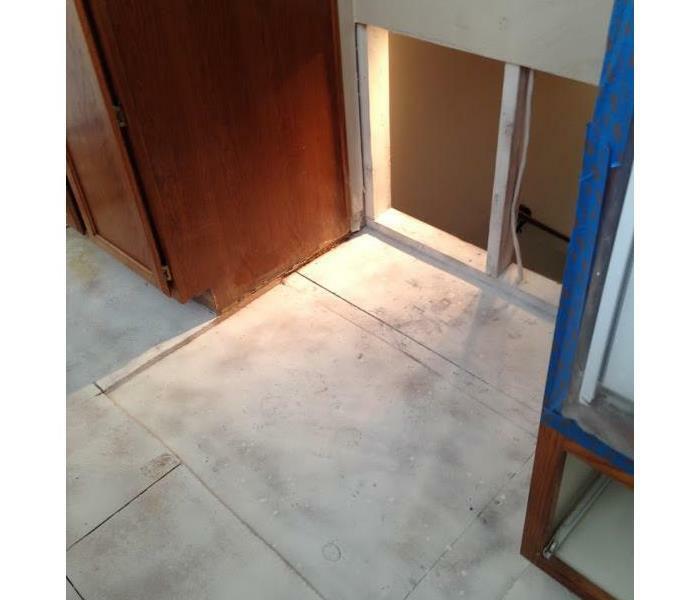 Owner was so pleased that we were able to provide the mold remediation in addition to the dry out. SERVPRO of Spokane Valley is the leader in storm and water damage restoration. We have the training and expertise to restore your home or business back to its pre-storm condition. The SERVPRO of Spokane Valley process emphasizes on scientific drying techniques, progress monitoring and documentation. Homeowner started a load of laundry in the washer. Then went out to do errands. He came back to the basement flooded. The hose disconnected from the machine and water poured non stop for over an hour. This was water standing in the basement. Water damage from the snow storm melt off. 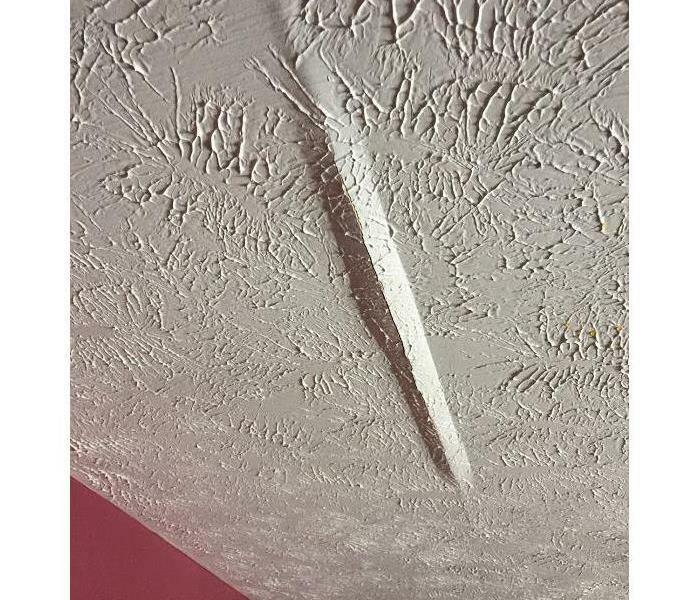 Water came thru a crack in the house foundation. SERVPRO of the Spokane Valley extracted the water, dried out the basement and referred the client to a company for repairs to the houses cracked foundation. New homeowners noticed a tiny bit of mold on the floor when remodeling. Moved the refrigerator and noticed how wet it was. When they lifted up the flooring, it was covered in mold. They called SERVPRO of The Spokane Valley for mitigation and remediation. Mold mitigation and remediation in a Spokane basement. Referral by Farmers Insurance when another remediation company just left and didn't return. 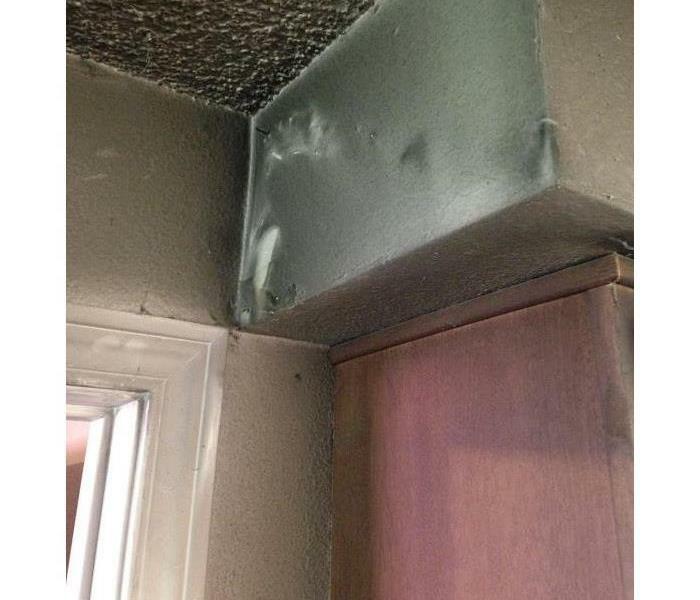 "Why didn't we call SERVPRO of The Spokane Valley in the first place?'. 25+ years of experience. Longest in Spokane. "Like it never even happened." Smoke damage caused by a kitchen fire in Veradale area of Spokane Valley. The apartment tenant used 3 fire extinguishers to put the fire out. The property management company is so grateful for SERVPRO of The Spokane Valley for being there to put it all back together. "Like it never even happened." SERVPRO of Spokane Valley was first company called by the pastors wife. "Everyone knows SERVPRO, I didn't know what else to do". 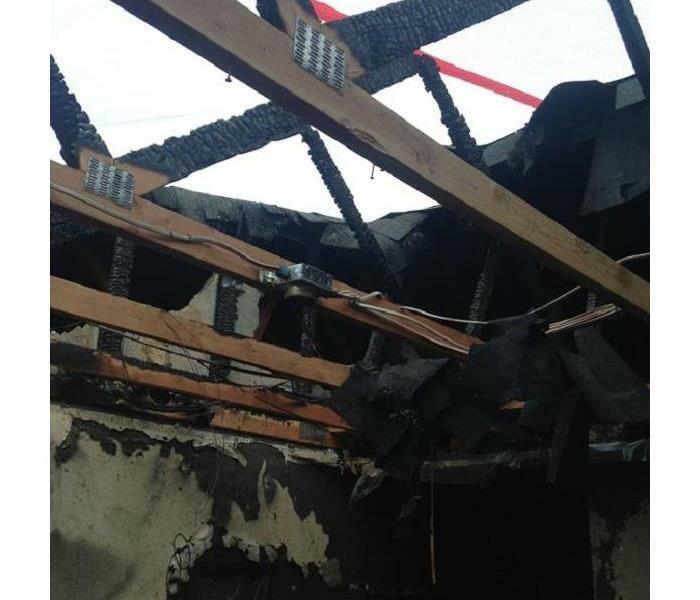 It was an unexpected electrical fire that occurred at a time when nobody was there. An employee just happened to arrive at the right moment to call for emergency services. Saved the day. What a cleanup! Hotel fire in June 2017 in Spokane Valley. Fire was started by an unbalanced guest damaging multiple rooms on the first level and second level . Flames rose out of the windows and ceiling before firefighters could get it under control. SERVPRO of the Spokane Valley was called first by the Spokane Valley Fire Department for assistance. No job is too big or too small. SERVPRO of the Spokane Valley has a solid relationship with the men and women of our law enforcement. This vehicle was in need of a biohazard cleanup after transporting an intoxicated person to jail. SERVPRO of the Spokane Valley has experience restoring homes affected by wildfires, storms and flooding. We can respond immediately with highly trained technicians who employ specialized equipment and techniques to restore your home or business back to pre-wildfire condition. SERVPRO of the Spokane Valley has again been awarded an A+ rating by the Better Business Bureau of Spokane. SERVPRO of the Spokane Valley provides emergency residential and commercial services like water and fire damage restoration, mold remediation, Storm damage restoration, cleaning services and building services. 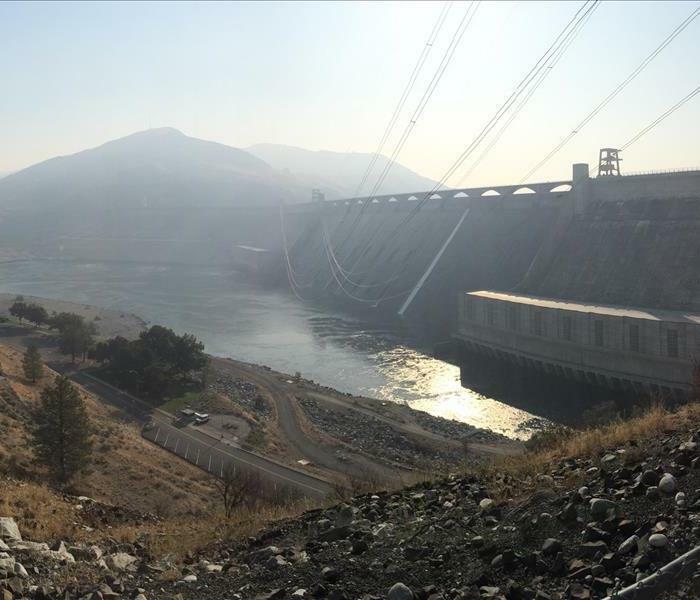 "Faster to any disaster" to your Spokane home or business, open 24 hours a day - 7 days a week! Debuting SERVPRO of Spokane Valley's new air scrubber. Can remove up to 99.9% of all mold spores. Restoring a home after a water loss in Spokane led by Carpentry Chief Tom L. and newcomer Jon V.
A huge thank you to all the amazing people that worked tirelessly to get URM back open after a fire on December 15th. These hardworking heros made it possible for URM to open their doors in time for their loyal customers to shop for Christmas dinner! ?#?heretohelp?